Every May for a number of year I have lead a small group of travelers to explore the music, myths, magic and mystery of the place, the people and the culture. I am always struck for the support for the arts in Ireland and just discovered a poetry walking tour in Galway City that honors a couple of dozen prominent Irish poets. 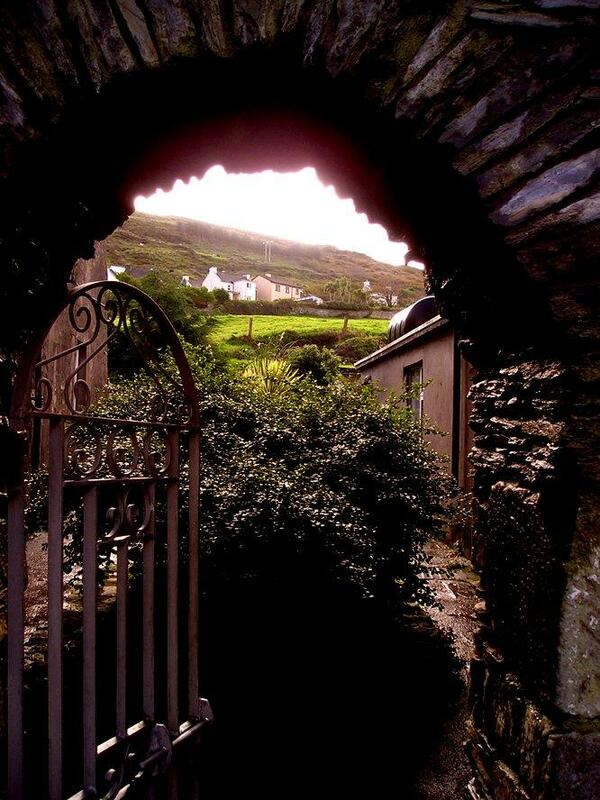 One of my favorite stories about the support for creativity in Ireland comes from an experience I had in the village of Doolin, County Clare which has been the epicenter for Celtic music revival in Ireland. Some of the best musicians in the country live there and play in the pubs. One evening I went up to McGann’s pub to listen in. At one point a young boy about ten years old joined the group with his tin whistle. I learned that his parents brought him now and then, a two hour drive from their home, to encourage his desire to make music. As he began to play the entire pub went quiet and as he continued one of the experienced musicians picked up his own tin whistle to support the lad through the places he couldn’t quite carry the notes on his own. At the end of the song the entire pub erupted into wild applause. What if we all got that kind of support for our creative urges? What difference would it make? In Ireland with this kind of encouragement people come together in pubs all over the country to make music. It is a vibrant part of the culture. Three years after first hearing the boy with the tin whistle I was back in Doolin in a different pub and the same boy stepped up to play with a great deal more skill than before. It’s not just music that is supported. In Ireland up until recently writers didn’t pay income tax and still artists don’t pay tax on what they make on the sale of their work. This honoring of the writers and poets has produced per capita more Nobel prize winning writers than any other country. With a population of 4 million, Ireland claims four Nobel laureates in literature along with a number of other writers of great stature. How can we find ways to support our children, our grandchildren and ourselves in this vital part of being human. How can we honor the creative gifts that each of us hold in our own way and the world so deeply needs now. What if it was as simple as a willingness to open up and play with however the creative process calls to us. Can we honor these creative yearnings and find community that supports our explorations. What would this look like for you? How would it feel? Can you sense of joy fluttering in your heart at your willingness to play and create for no reason and see where the process leads. That will help you unplug from the pressure of feeling like you have to produce something. Rather being creative feeds our spirit and inspiration and support can show up for us in wonderful ways.